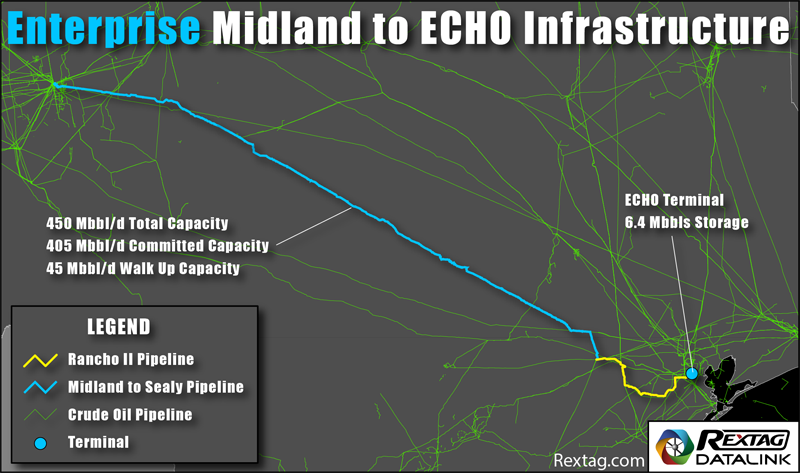 Enterprise Products has executed additional contracts on the Midland-to-ECHO crude oil pipeline system. The execution of these additional agreements brings total committed volumes on the Midland-to-Sealy segment of this system to 335,000 barrels per day (Mbbl/d), which represents approximately 83% of the segment’s ultimate committed capacity of 405 Mbbl/d. Total capacity for the pipeline segment will be 450 Mbbl/d, which will include 45 Mbbl/d of “walk-up” capacity.